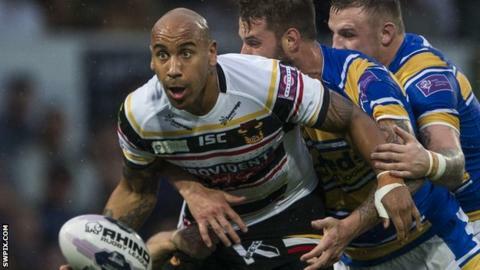 Bradford Bulls forward Matty Blythe has signed a new two-year deal. The 25-year-old joined the Odsal club from Warrington last August after a loan spell and will now stay at the Bulls until the end of the 2016 season. "I love being here and want to achieve something special as a Bradford player," he said. Meanwhile, wingers Luke George and Elliot Kear are both leaving the Championship-bound club at the end of the season. Both players had a year left on their deals.